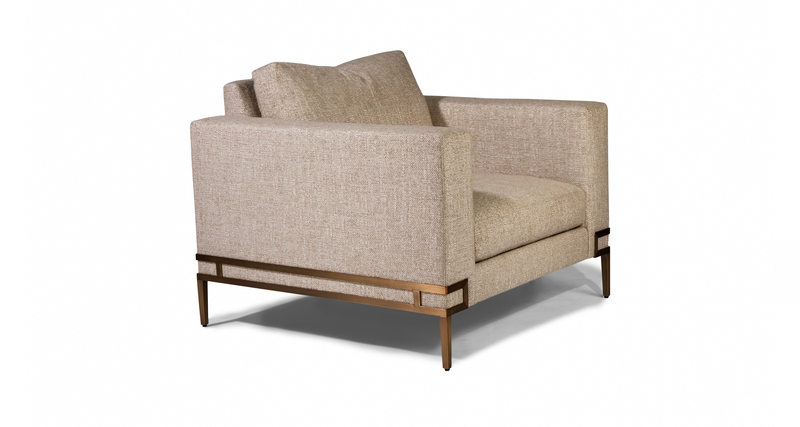 Designed by Ransom Culler, the Manolo lounge chair is one of our new contemporary classics. The Manolo lounge chair features elegant but powerful high-heeled legs available in brushed bronze or polished stainless steel. Select any of our in-house curated fabrics or leathers or provide COM. Lounge chair available in polished stainless as No. 1339-103. Coordinating Manolo sofa and modular sectional sofa items are also available. Height to top of back cushion 34 inches approximately. Legs brushed bronze. Available in polished stainless as No. 1339-103.